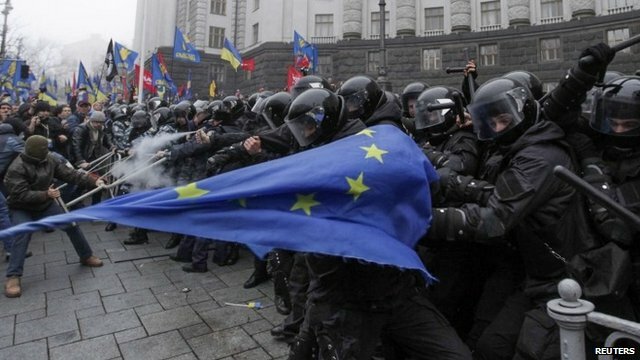 Is The EUSSR Now Running Ukraine? They seem to be. If so I suspect they are also hand in glove with the CIA. Given the joint success of these two cretinous bodies in Iraq and Afghanistan, it's does not bode well. Yet is does appear Kiev is little more than a new toy for Brussels. Also fascinating is the demonisation of Putin's Russia. Presumably the CIA can't function without a target regime to nag and niggle. Even as the Iraqi weaponry provided by America and their EU mates, falls into the hands of Al Qaeda originated Islamists, this pair prepare to bail out Kiev's inability to pay their gas bills! What isn't being considered is the reality of how much the World, let alone America, need Russian support, as Islamic barbarity gets ever closer to our respective back doors. Despite decades of typical propaganda, by the American foreign intervention industry, against another devil incarnate state, Iran, the Yanks are suddenly on bended knee seemingly about to propose. 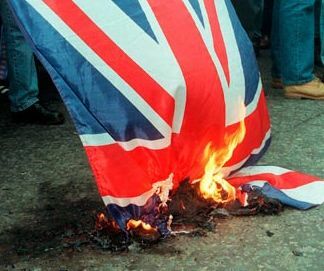 If a much greater attention to pragmatic diplomacy had been followed by Bliar and Bush, it is far more likely the chaos and bloodshed around our ears now might have been mitigated, if not avoided altogether. However the one voice counselling against both Iraq and Afghanistan was Russia. The "I told you so" remarks reported nicely, here, cannot be denied as being very portentous. I supported those considerations at the time on this blog and see no reason not to do so again. Bliar made much of the obscene barbarity of these insurgents, now shown once more in Kenya, as well as Iraq. We had to intervene to stop Saddam carrying out atrocities and make our streets safe the Bliar and CIA led Bush coteries claim. Well, how can we compare one set of crimes and carry out our own, but still claim moral high ground? We can't. Our policy should have been to ensure no immigration, on a huge scale, should have given succour to races and creeds, hell bent on insurgency and dominance. Let alone then viciously attacked the resentment of the indigenous populations. The West would have done well to look to setting an example to the rest of the World with a well ordered, prosperous and fair capitalist system. Nations in the manner of Norway and Denmark. Places where population size is manageable and sensible. Those countries with severe poverty and unchecked population excess, can only function, so it seems, under draconian suppression and powerful, even if dubious, dictatorship. Nevertheless when the more benign elements of modern capitalism are attempted, such as India and China, beneficial evolvement appears to happen. As for The Middle East, without oil it would have been a backward, no go region where all this sectarian evil violence would have been confined and of little interest to The West. Look after your own country, do it well and let results, not armies and greedy covetousness, speak. Sadly too late by decades. The opportunity after 1945 lost.